Google+ (Plus) is one of the most anticipated social networking website, this is the reason why Google+ has gained the audience attention dramatically within 6 months it registered 170 million unique profiles with tons of daily visitors.Which makes it one of the top rated social networking website. Google+ is the biggest competitor of Facebook, this is the reason why these website are head to head in the race of ruling the world of social networking. While Facebook has introduced new Timeline Profiles so why Google will remain behind. 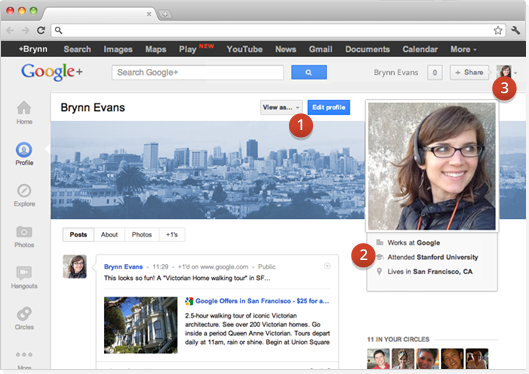 Google has introduced new Google+ Profiles with lots of new and improved functions. 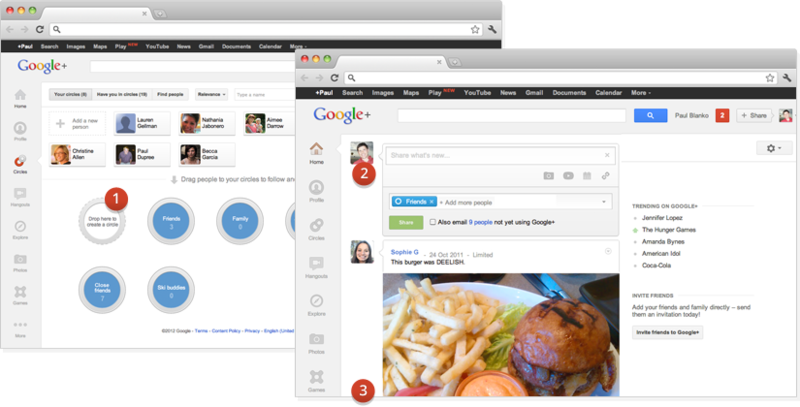 Google+ is now even more better with new and improved interface, with easy to use navigation, attractive profile design and lots of more cool and new features. New and Improved Profile Design. 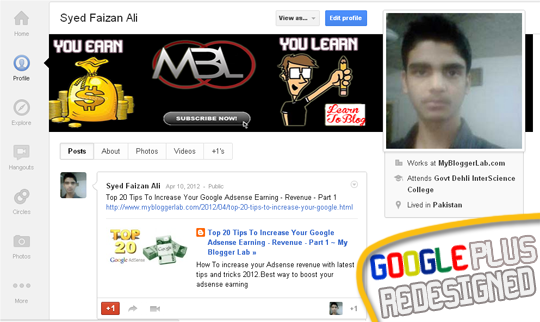 Google+ Plus New Profile "Your Face To the World On Google+"
Where have you worked, lived, and gone to school? Add some basic information to make it easier for people to find you. It’s easy to control who can see what on your profile. You can also choose who can tag you in photos, comment on your posts, and send you notifications. 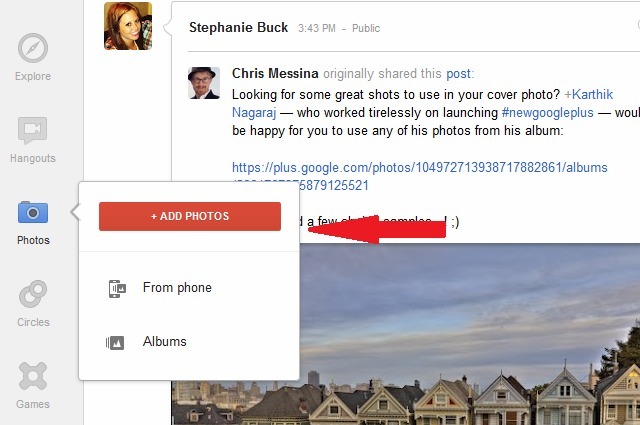 Set your preferences in your Google+ settings. “It accelerates our efforts to create a simpler, more beautiful Google,” Google Senior Vice President Vic Gundotra argued in a blog post announcing the redesign. Create Circles & Posts "Give and get updates from just the right people"
With new Google+ Hangout page you can get live face to face to your love ones via video chatting.You can invite your friend to hang out or can join your friends hangout invitation.To get started visit your Hangout page now. You can host video conferences with your friends and families by going through the new hangout page.Another killer feature of Hangout, It allow you to access (Join) every public and on air hangout sessions. There's another hidden feature with banners - you can make them animated with a size trick.